Would you want to be one of Artemis' Hunters? Spend a little more time in Percy Jackson's world--a place where the gods bike among us, monsters man snack bars, and each of us has the potential to become a hero. Plus, consult our glossary of people, places, and things from Greek myth: how Medusa got her snake hair extensions, why Chiron isn't into partying and paintball like the rest of his centaur family, and the whole story on Percy's mythical namesake. 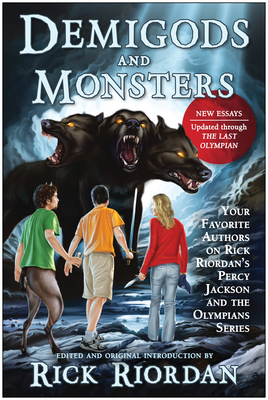 "Percy Jackson fans will love this book!"